At 6pm on Monday, 29th of October, New Zealand tuned in to watch Newshub. What viewers didn’t realise was that members of the crew who usually deliver the news were helping new ones– our clients living with no or low vision. Among the three low or no vision crew members was Trevor Plumbly, a seventy-seven year old with Retinitis Pigmentosa. Trevor worked on the assignment desk team becoming a point of contact for people contacting Newshub, challenging people’s perception and attitudes on what people who are blind or low vision can do when they have the right support. Working together the Blind Foundation and Newshub provided Trevor with the training and support he needed to help deliver the news to New Zealand. A former radio talkback and TV series ‘Antiques for Love or Money’ presenter, Trevor was in his element back in a media environment. “The first point of contact is the telephone, you take details, and then file it out to a reporter, and if there’s a story there they’ll follow it up. Isn’t it great that there is an arm of the media that is prepared to throw open its doors to us,” says Trevor. The News Crew Swap demonstrated that there are no limits to what people with low and no vision can do. “Through our services, we help people with low or no vision to live a life without limits. The Crew Swap was a compelling demonstration of this. 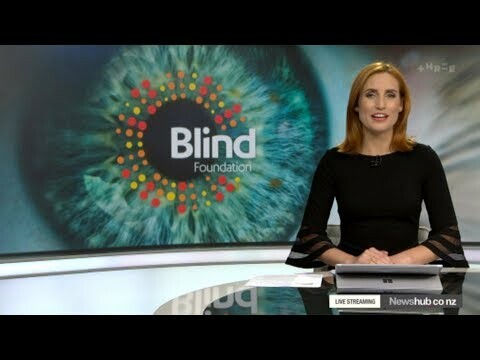 Running a live newsroom is a challenging job, so what better place to show what can be achieved with the right support, than this fast-paced environment,” says Sandra Budd, Blind Foundation Chief Executive. June Hieatt, 80, was also a spokesperson for the Crew Swap campaign and featured on The AM Show with Blind Foundation Chief Executive Sandra Budd. 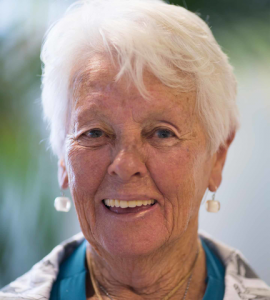 At 74, June began losing her eyesight to macular degeneration. While she relied on her husband, when he passed she felt lost. June shared: “I couldn’t move around like I used to, and just the normal things, like opening a can of something, or going to the grocery shop and lugging stuff home. Clients Aine Kelly-Costello and Daniel Holt also played a part in bring New Zealand the news. Aine, who is interning at Newshub, worked on digital storytelling and Daniel was tasked with creating the graphic to accompany a story featuring the Blind Foundation introduced by news anchor Samantha Hayes. Client Fatima Akehurst was a campaign spokesperson who shared her experience of living with vision loss and how the Blind Foundation has helped. 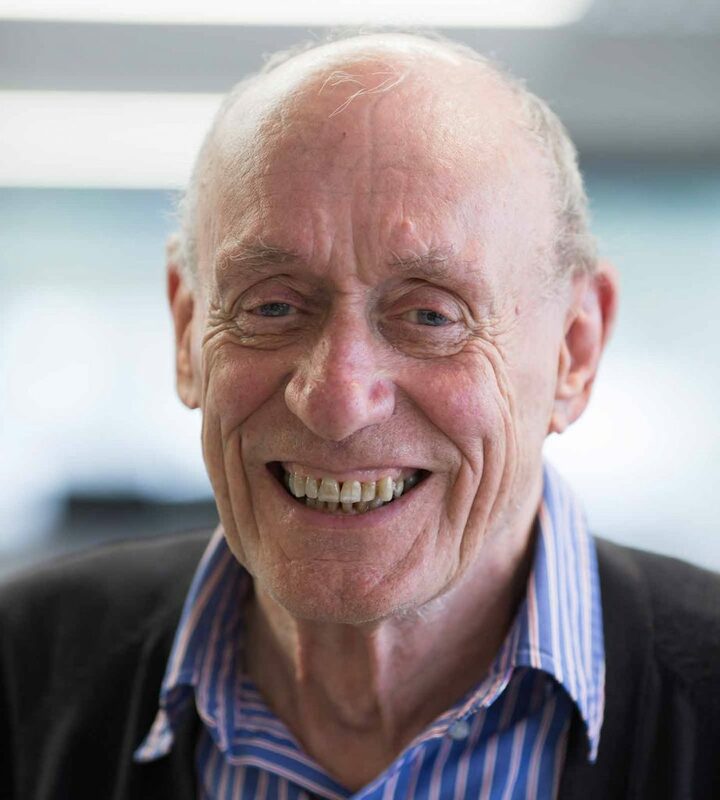 The Crew Swap was driven by the need to shed light on the increasing prevalence of Kiwis living with vision loss, and to encourage New Zealanders to take a fresh look at the Blind Foundation and our services. With an ageing population, it is estimated 350,000 New Zealanders will be living with age-related macular degeneration in 2030 – an increase of 70% from today. Our services include day-to-day living techniques to help manage everyday tasks effectively and safely and get around confidently. Counselling, technology support, education and employment services, as well as recreational services that support active lifestyles and promote new friendships within the community.